Use the form below to Inquire More or Reserve Kenya & Tanzania Signature Safari Honeymoon. Let the timeless romance of Masai Mara, Serengeti and Zanzibar sweep you away on this luxurious safari and beach honeymoon. In Kenya and Tanzania’s finest parks you’ll come face to face with majestic lions, gentle elephants and dazzling zebras. With private guides and your own 4×4 vehicle, you’ll traverse the plains of Masai Mara Reserve, Africa’s most famous safari destination, in search of the Big 5. Cross the border into the dreamlike Serengeti to catch glimpses of gazelle and giraffe that dot the expansive landscape. Descend into Ngorongoro Crater, considered a modern day Noah’s Ark because of its incredible wild animal diversity, and experience one of the seven natural wonders of Africa. You and your loved one will enjoy incredible meals overlooking the Mara before embarking on a walking safari in search of exciting wildlife. Spend the evenings relaxing in elegant surroundings at some of the region’s finest hotels and lodges. 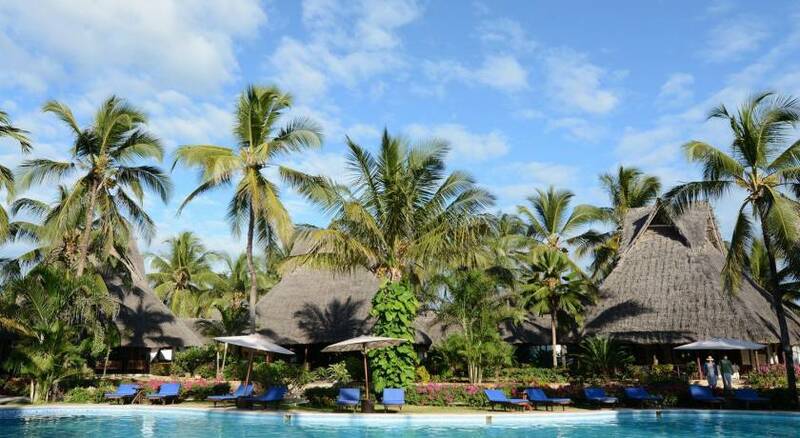 Once you’ve taken in all the thrills of a safari adventure, jet off to exotic Zanzibar, an idyllic island paradise of white sands and swaying palms. You’ll have chances to kayak, enjoy cooking classes, feast on beachside picnics, or simply find a hammock for some well-deserved relaxation – the choice is yours. 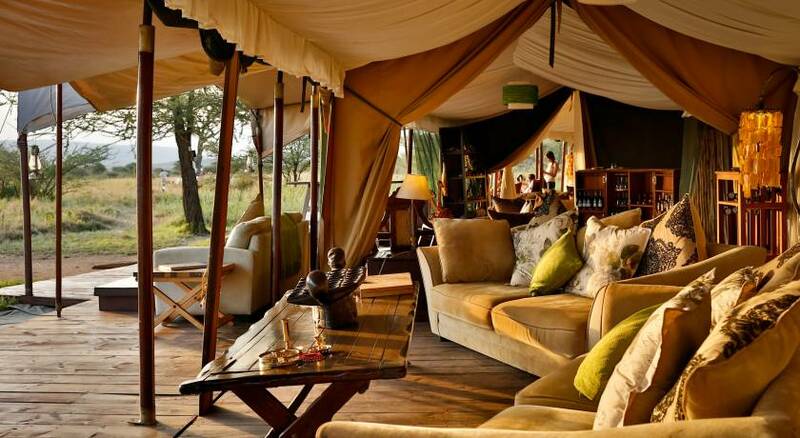 This trip offers unparalleled game viewing with evening relaxation in excellent quality tented camps and game lodges. Tsavorite Tours offers local support in each region you visit, another reason we deliver unbeatable value. Enjoy a personalized vacation that best suits your needs, developed by one of our experienced destination experts. Relax during your trip with our 24/7 support and expert local guidance. While you are in the care of Tsavorite Tours, your safety and security are our number one priority. As such, in the unlikely event of serious illness or injury, all Tsavorite Tours clients are covered by “Flying Doctors” Insurance policy. This emergency evacuation insurance covers the cost of the evacuation flight back to Nairobi for treatment. This insurance policy however DOES NOT cover the cost of any medical treatment received. We highly recommend travel insurance for full coverage. A privately driven vehicle will provide you with a transfer between the hotel and airport. After your guide has loaded up your luggage you will be driven through Nairobi admiring some of the sights (time permitting). Your guide will brief you on your itinerary en-route. As a warm welcome, a complimentary bottle of champagne will be in your room upon arrival. The Fairmont Norfolk Hotel is situated in the centre of the bustling city of Nairobi and has grown over time with the city. Surrounded by private tropical gardens, the 165 guest rooms and suites are comfortable with all the necessities of home. Dining is offered at a number of on-site restaurants, and the breakfast buffet is especially delightful. Spend some time getting to know the city then escape to the tranquility of the hotel. At your pleasure, enjoy the wonderful swimming pool facilities, the health club, and the relaxing spa. This morning you’ll meet up with your guide and head off to the Masai Mara. The drive will be about 5 to 6 hours. Head directly into the park for game viewing and then return to the camp for late check-in or check-in first and then head out for an afternoon game drive. Chat with your guide for their recommendation based on your arrival time and park hours. Head out this afternoon, accompanied by an experienced tracker guide, on an exciting game viewing adventure. Search some of the area’s wildlife hot-spots, determined by your guide, as have an understanding of the games daily routines through tracking. Some wildlife, for instance the Leopard, is more difficult to spot than others. These spotted cats blend almost seamlessly into the tall grass and shrubbery, and are even more challenging to spot up in their favorite hangouts, the trees. Your guide will take you to nearby watering holes, where on a hot day you’ll spot many bird and wildlife species, including the elusive Leopard. 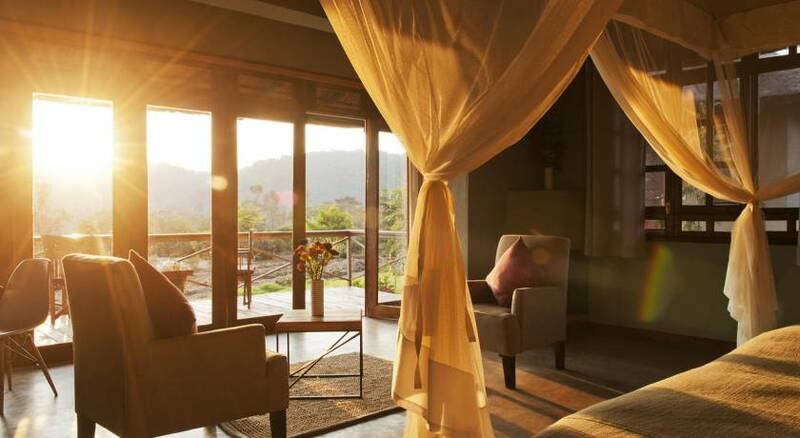 Nestled against a wooded thicket and surrounded by savannah, Mara West combines luxury accommodations with the breathtaking adventures of an unforgettable African safari. 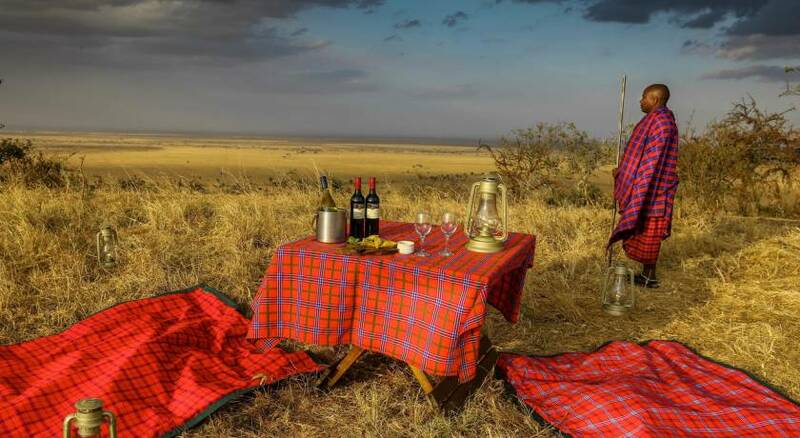 The rooms are perched in secluded spots on the edge of the Oloololo Escarpment, offering guests panoramic views of the Masai Mara Game Reserve below and a sense of exclusive privacy. The camp is home to resident herds of gazelles, impalas, and zebras, as well as an abundance of bird life, and is visited regularly by a variety of wildlife passing to and from the park. 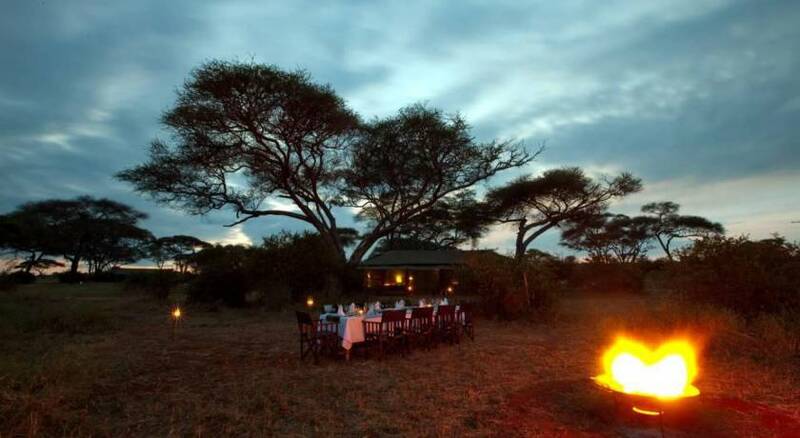 The stunning beauty of the Mara, the uninterrupted grazing of the antelope, the night calls of the bush babies, and the early morning chorus of songbirds, all combined with the comfortable and tasteful ambiance of the camp, is part of the Mara West experience and what makes it a unique paradise for nature lovers. Just like the local wildlife, you’ll head out bright and early this morning, alongside an experienced tracker-guide for the day’s first game drive. The eco-diversity and sheer size of the Masai Mara Game Reserve provides the necessary requirements to house a wide range of animal species. The most recognized are known worldwide as the African Big 5, which includes the African Elephant, Cape Buffalo, Rhinoceros, Leopard, and the King of the beasts, the Lion. The term Big 5 was coined by big-game hunters, as these species were the most difficult and dangerous to track and hunt. Subsequently, the term was adopted by the tourism industry for marketing purposes, spinning a web of positivity opposed to the negative effect portrayed by the original terminology. Numerous other species of bird and wildlife inhabit this dynamic location including Hyenas, Gazelles, Impalas, Giraffes, Zebras, Vultures, Cranes, Eagles, Falcons, and Ostriches. On today’s afternoon game drive, the choice is up to you: search for the Big 5 or expand your horizons to discover something different. The Masai Mara not only has a rich mix of animals – it also has an incredible array of bird life that includes almost 450 different species. 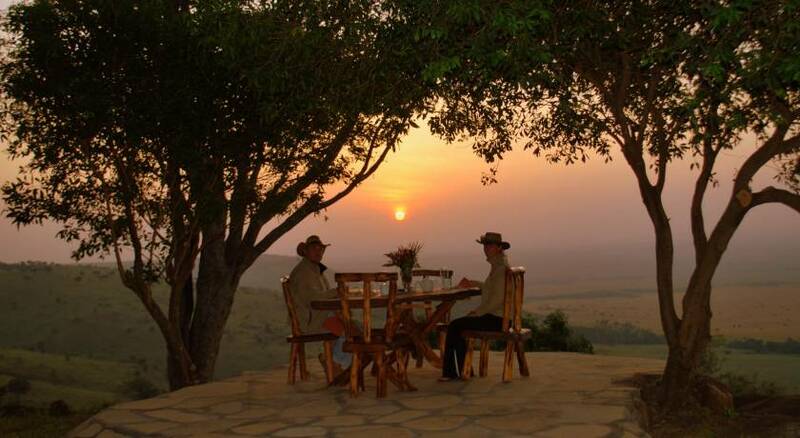 Enjoy a sunset dinner during your stay at Mara West. 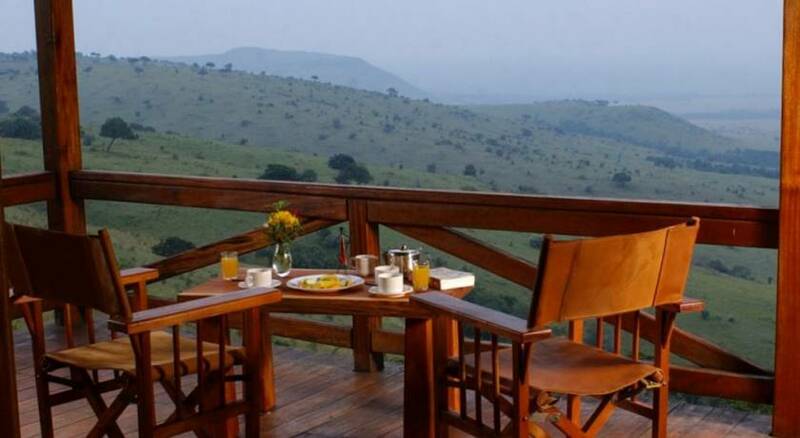 Take in the hush of the African plains and breathtaking views as you are served a full meal by private wait staff. This incredible experience can be set up for you either in the bush or on your own private verandah; a truly unforgettable experience. Speak to the camp manager to make arrangements during your stay. 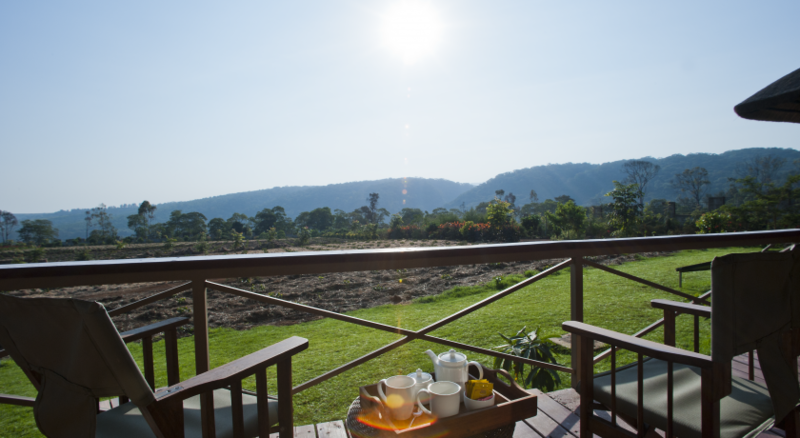 Wake up to a hot breakfast on the Sunrise Deck. 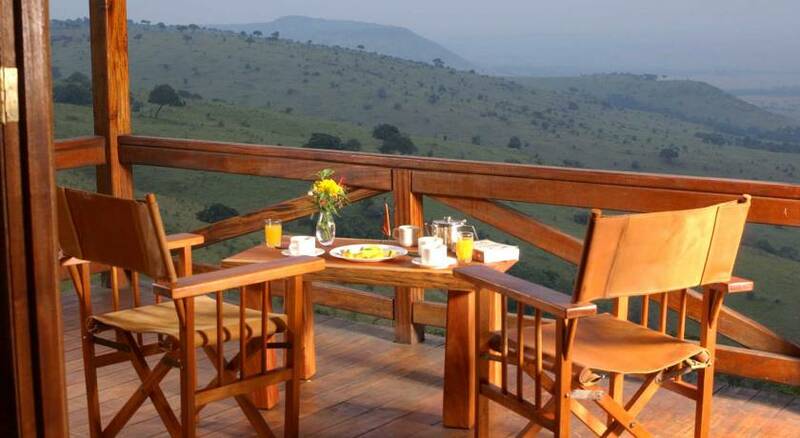 With a stunning view over the Mara, watch the sun rise as you enjoy your private breakfast. Afterward head out with your local guide on your walking safari to experience wildlife and bird life on foot. The walking tour will culminate with a walk down the escarpment leading to the park where your vehicle awaits, ready to take you on safari. Set out bright and early this morning on a “Migration” inspired game drive with your experienced guide. Your journey today will take you into the thick of the Masai Mara plains, in search of some of the many grazing species that take part in the annual migration yearly, an event that has been going on for centuries. 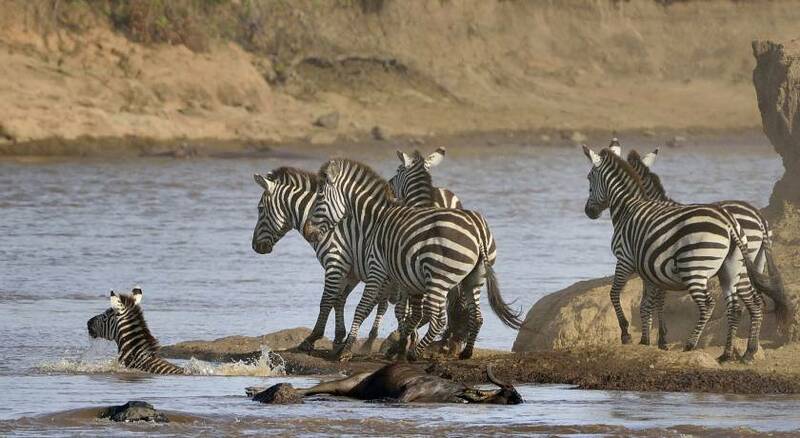 Exceptional populations of Zebras, Gazelles, Impalas, and of course Wildebeests thunderously feed and migrate from the Serengeti and through the Mara area every year from July to October. Set out this afternoon with your tracker guide on another exciting game drive through the Masai Mara Game reserve. The Mara area is one of the few places left in Africa where one can still spot Rhinos in the wild. It is estimated that there are only 4000 black rhinos left in Africa. Your guide will take you to the locations where Rhino sightings have been recently reported to see if you can snap some photos of these elusive, lumbering giants. You`ll depart the Masai Mara Game Reserve today in a privately driven vehicle with guide and travel towards the Isebania border crossing. Enjoy game viewing or depart first thing, driving past towns and villages along the way. Upon your arrival, your guide will arrange the necessary documentation for your entry into Tanzania. IMPORTANT NOTE: Please be aware that this portion of the drive can be long depending on rains as this is a dirt road. In dry season you can reach the border in 2 hrs or less. Upon entry into Tanzania, you`ll notice an improvement in stability and comfort as roadway heading toward the Serengeti National Park is newly paved. After you have crossed through Isebania Border you will switch vehicles and guides according to the country you’ll be entering. You`ll continue in your specialized, Tanzanian guided and driven vehicle towards the Serengeti Game Park. Please advise your guide if you would like to make any additional stops at shops, villages or stop at Lake Victoria. For instance, a stop at a local fishing village can be scheduled if you’re craving some cultural inspiration. Have your camera handy, as you enjoy some game viewing upon entry into the park whilst traveling to your Serengeti based lodging. IMPORTANT NOTE: Upon entry into Tanzania, you`ll notice an improvement in stability and comfort as roadway heading toward the Serengeti National Park is newly paved. Once you arrive in Serengeti you’ll drive on dirt roads through the park and enjoy game viewing on your way to the lodge/camp. These dirt roads can be bumpy and/or muddy in rainy season. The approximate total travel time between Masai Mara and Serengeti can range between 6 to 9 hours depending on road conditions, traffic and weather. 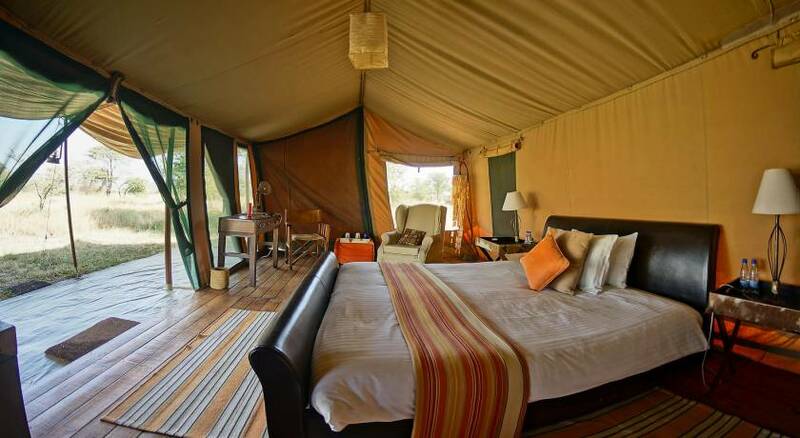 Joining its two Serengeti sisters, Lemala Ndutu and Lemala Mara, Lemala Ewanjan is a new deluxe seasonal camp with beautiful tents set along the game-rich Seronera Valley in a spectacular location on the western slopes of Makoma Hills. In the Central Serengeti, Lemala Ewanjan features staggering views of the Serengeti migration, grasslands and sunsets. 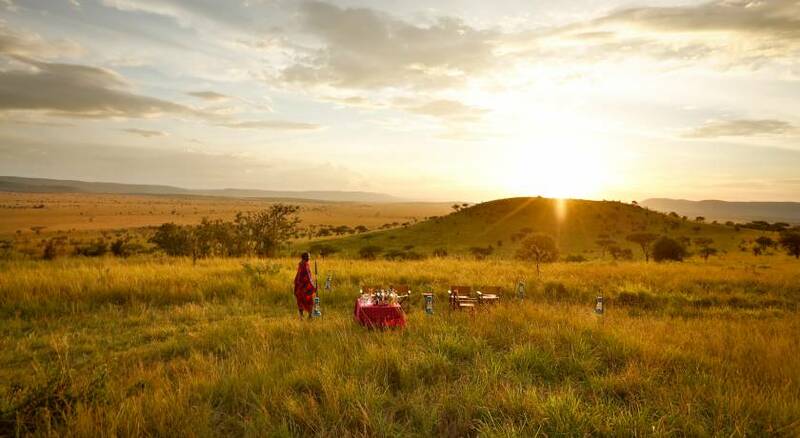 Major game viewing areas of Central, Southern or Western Serengeti are easily accessible and at the end of the day, guests can return to the privacy and solitude of the camp to enjoy great service, food, and ambience. The camp offers optional balloon safaris from Seronera, while Seronera airstrip is only 25 minutes away. This morning’s African adventure begins with an exploratory game drive through Tanzania’s oldest and most recognized National Park, the Serengeti. 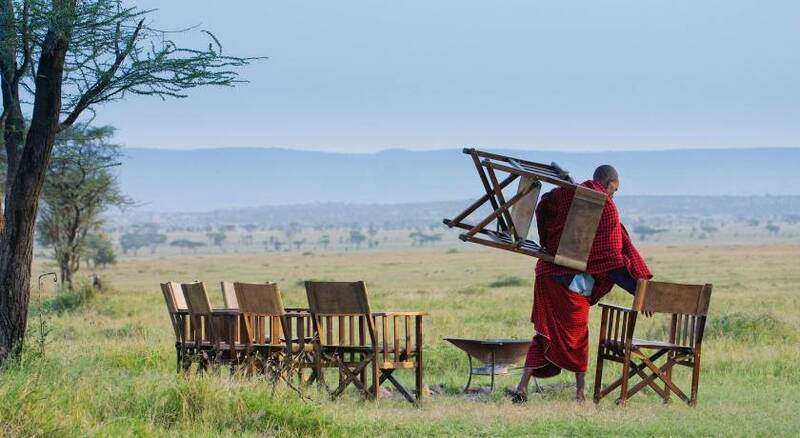 This location offers the most expansive game viewing in Tanzania. From predators to prey, great herds of grazing herbivores to tactically cunning packs of carnivores, life on the plains of the Serengeti can best be defined as a complete “circle of life.” A photographic dream unfolds before your eyes as giraffes and elephants feast on tasty shrubbery, whilst impalas, gazelles and buffalos dance carefully through the plains as to not become the latest meal for on-looking lions, cheetahs and hyenas. Get ready for an afternoon to remember as you set out accompanied by an experienced tracker-guide into the seamlessly never-ending expanses of the Serengeti. The park is world renowned for its healthy stock of resident wildlife species, in particular the African Big 5 which or course includes buffalos, elephants, rhinoceros, leopards and lions. Although with sightings considered a rarity, very few black rhinoceros still live within the confines of the park grounds. The Serengeti is also home to the largest population of lions and giraffes in all of Africa. Heavy concentrations of topi, gazelle, waterbuck and Coke’s hartebeest provide an ample food source for local carnivores including cheetah, hyenas and African wild dog. The park is also home to some 500+ species of birds, ranging in size and weights some of these bird including ostrich, crowned crane, marabou stork and secretary bird are the most sought after photogenic birds on the planet. This African journey continues as you board a privately driven vehicle, accompanied by a local tracker-guide for your visit to the overwhelming large Ngorongoro Conversation Area. You’ll depart the Serengeti National Park grounds at a somewhat slower pace as to get in some more game-viewing. At the Serengeti Welcome Centre you’ll have an opportunity to marvel at a panoramic view of the surrounding area from the lookout point. A stop for a picturesque picnic is also scheduled during this journey. Upon your arrival into the conservation area, you’ll head towards your overnight accommodation whilst taking in the overwhelming size of the Ngorongoro Crater. The approximate travel time may vary between 5 to 6 hours depending on weather conditions and the number of stops you’ve made along the way. During the heavy rainy season, longer travel times should be expected. The massive Olduvai Gorge or Oldupai Gorge is often referred to as “The Cradle of Mankind.” Beginning in the eastern Serengeti plains, the gorge is roughly some 48 kilometers long. Resulting from millions of years of natural erosion, this gorge boasts a steep-sided ravine that cuts and stretches its way through the Great Rift Valley along eastern Africa. The gorge is named after a commonly used plant by the Masai people with the scientific name of Sansevieria-Ehrenbergii, or Oldupai for short. 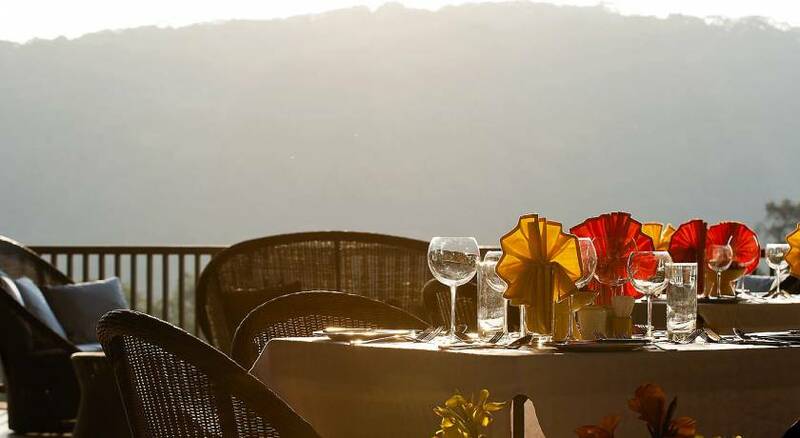 The Kitela Lodge is a small, exclusive lodge situated on top of a valley overlooking a coffee plantation, the Eastern wall of the Ngorongoro crater, and a beautiful waterfall. Fffering guests a relaxing, quiet atmosphere surrounded by beautiful gardens, the Lodge consists of twenty spacious suites in cottages built in the style of an old colonial farm. Located on site is a heated swimming pool and soothing spa. You are provided with a personalized, experienced tracker-guide and private transportation today whilst exploring around the Ngorongoro National Park grounds. Explore one of the most recognized wildlife conservation areas in Tanzania today. Depart your camp or lodge in a privately driven vehicle, along with a local expert guide, for an approximately 20 to 30 minute drive towards the Ngorongoro Park Gate. It will then take you another 20 minutes to reach the crater rim itself. The Ngorongoro Crater is the world’s largest inactive, intact, and unfilled volcanic caldera. This geological masterpiece was formed as a result of an extremely large volcanic explosion which caused the volcano to collapse in on itself, thus creating a crater. The crater is roughly 20 kilometers wide and some 2000 feet deep, making the trip from crater floor to rim around 45 minutes by 4×4. The extremely fertile crater floor is the reason why there is such a highly concentrated amount of wildlife here. Over 20000 mammals call the crater home, including some of the only remaining black rhinos in the world. The crater floor also boasts one of the highest carnivore densities in the world including large prides of lions, packs of hyenas and solitary predators like cheetahs and jackals. A keen eye and expertly recommended search patterns from your guide, may help you spot some of the less common species like leopards, servals, and bat-eared foxes. 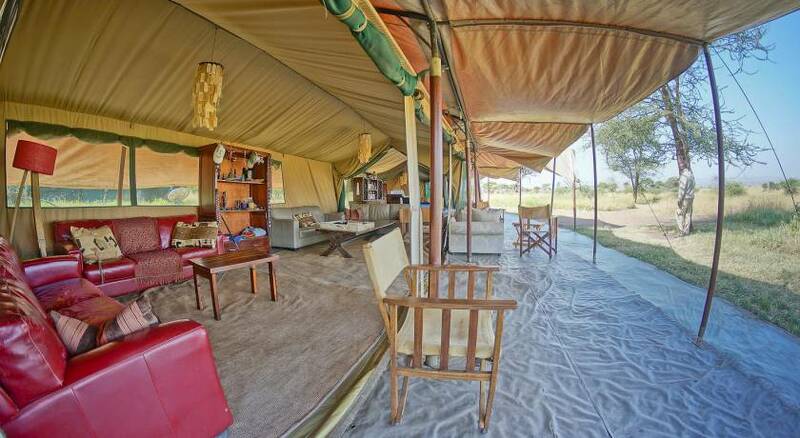 A representative from your lodge will provide you with a transfer to the Manyara airstrip. The transfer time will take approximately 45 minutes to an hour. Relax during this short flight which departs the Tanzanian mainland airstrip in Manyara and travels to the island of Zanzibar. This flight will take approximately 2 hours to complete. Luggage restriction applicable to this flight: 15kg (32 lb) per person, for both carry-on and checked luggage. Your checked luggage needs to be soft-sided – no wheels / no spine, a duffel bag is recommended. A small purse/backpack, is recommended as a carry-on, to keep your camera, passport, hat, sunblock or other items you need within easy reach. A privately driven vehicle with driver will provide you with a transfer today travelling between the airport and your resort, or vice versa. -Enjoy a bottle of wine and flowers in your room upon arrival. 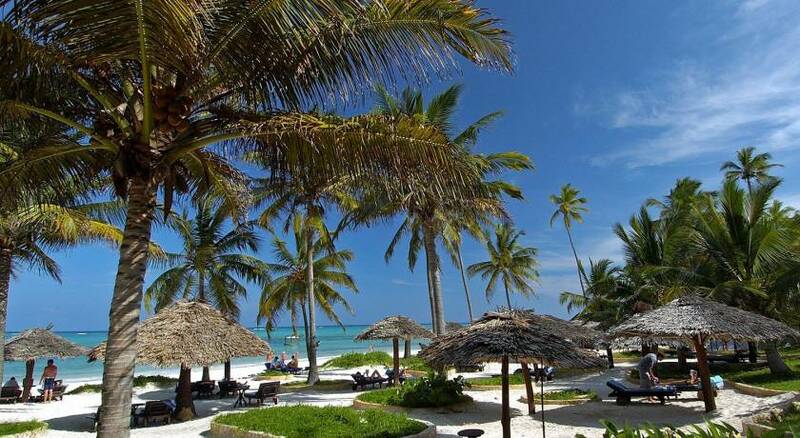 Breezes Beach Club and Spa is a tasteful haven situated on a gorgeous beach off the east coast of the most magical island of Zanzibar, Tanzania. The 70 rooms and suites are fully air-conditioned and decorated in earthy, natural tones and finishes, each festooned with authentic Zanzibari carvings from locals. Dining is an experience to look forward to, where ones taste buds are host to a mélange of refreshing flavors (dress code in effect). Seafood is fresh, succulent, and incomparable. Activities vary depending on interest, from lounging on the beach to marine activities, spa, and yoga classes. 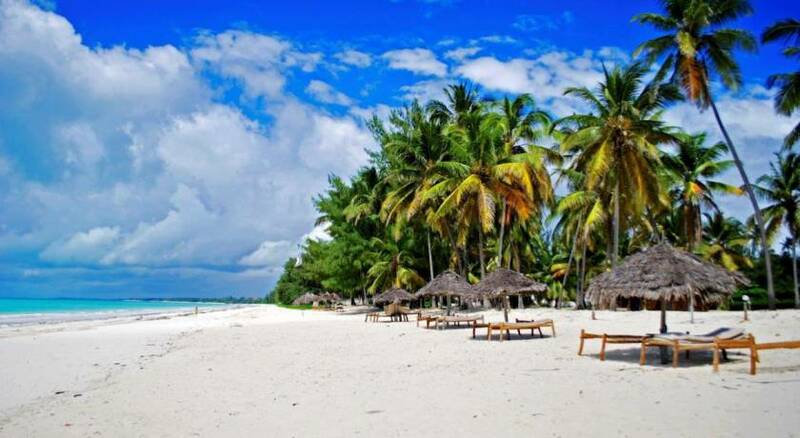 If time permits, Zanzibar provides visitors with variety of activities to enjoy. Choose from half or full day tours that include Swahili Cultural tours, Spice tours, Stone Town tours and cooking lessons. Some other adventures whilst in Zanzibar include Dolphin Sandbank picnics, Mangapwani Beach and Slave Market cultural experiences. Of course your lodging accommodation boasts some other activities to enjoy including snorkelling, deep sea fishing or reef kayaking. A visit to a spice farm village gives you an insight into local life and the opportunity to try some Swahili dishes, taste the fruits in season, and try some spiced tea. Walk through the spice farm with your guide. Touch, smell and taste different spices and tropical fruits. Try to guess which is which, from the crushed leaves, the fruit, shoots, vines, and creepers crawling up the trees. After this tour, you will be driven back to the hotel in the afternoon to relax after a day filled with amazing and unique sights! This tour operates from Stone Town. Transfer time will vary depending on which part of the island you are coming from. Time in transit could be 30min to 1.5hrs each way. Please be aware that an additional Departure Tax of USD 49 per person is required by all whom visit the island of Zanzibar. Hotels will also charge $1 per person, per day for infrastructure tax. This must be paid on-site before departing. Enjoy this scenic flight from the Tanzanian island of Zanzibar (ZNZ) to the Kenyan urban hub, Nairobi .The flight duration is approximately 1 hour and 20 minutes. 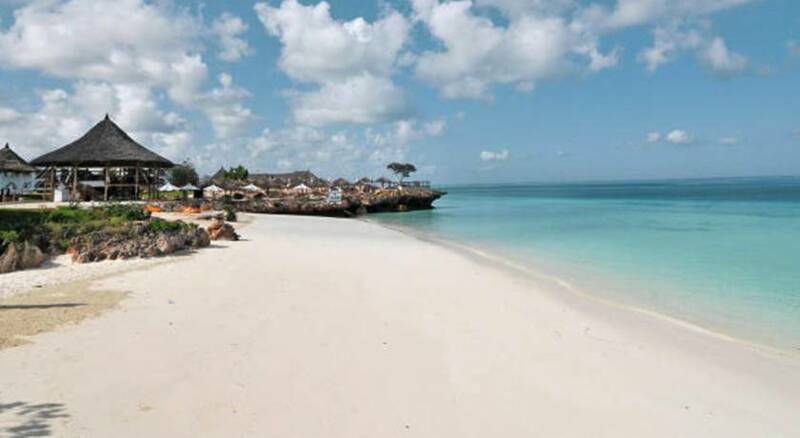 Please note that USD49.00 per person needs to be paid locally as a departure tax in Zanzibar. 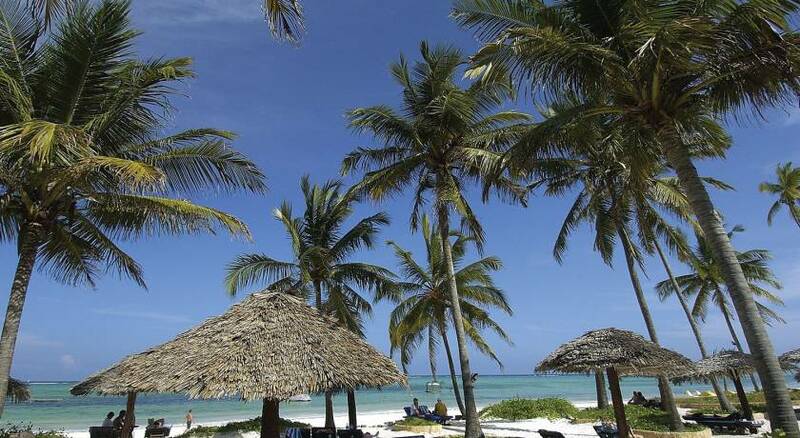 (Flight runs every two hours from Zanzibar to Nairobi, be aware that the airline reserves the right of canceling your flight and placing you on the next available flight. Tsavorite Tours recommends ample connecting time in Nairobi if you are flying internationally). Luggage Kenya Airways: 2 piece of 23kgs each.